Your passport is the one thing you always have with you when you travel around the world, so it might as well be beautiful. These 15 countries have transformed their passports into works of art. Norway’s new passport shows off the Aurora. Norway’s passport, which was redesigned in 2014, is a celebration of Scandi minimalism. The inside pages depict Norway’s natural landscapes using clean lines and shades of teal, grey, and orange. The illustration are gorgeous enough in normal light, but they really come alive when you shine a UV light on them: The colors turn dark, and the Northern Lights appear as dazzling ribbons across the night sky. No more twiddling your thumbs in the customs line! Finland’s passport, redesigned in 2012, doubles as a flipbook. When you thumb through the document, an illustration of a moose at the bottom right hand corner appears to saunter across the page. Kangaroos, emus, platypuses: the Australian passport has them all. The illustrations inside pay tribute to the country’s distinctive biology. And beneath the pretty pictures, a host of hidden security features—including an image of a kangaroo that appears to float above the page when tilted—make Australia’s passports extremely difficult to forge. Canada’s new passport looks fairly ordinary in the light of day. But when you shine a blacklight on the inside pages, they transform into glowing illustrations of iconic Canadian scenes and symbols, from Niagara Falls to Technicolor maple leaves. Like Canada’s passport, China’s passport has an ultraviolet secret. Pass a UV light over the inner pages, and illustrations of landmarks like the Great Wall of China burst into colorful life. As a remote nation surrounded by water, New Zealand has always been a nation of travelers—from the early Polynesian explorers who first sailed to the island, to modern-day Kiwis who travel thousands of miles beyond their borders. Each page of New Zealand’s passport—one of the world's most powerful—tells the story of the many journeys that New Zealanders have taken throughout history. Like many of the world’s most beautiful passports, Hungary’s passport comes alive under UV light. A blacklight reveals part of the musical score of the second Hungarian national anthem, the Szózat. The 48 pages of Indonesia’s passport feature brightly colored drawings of the island nation’s impressive flora and fauna, including a turtle, a bird of paradise, and a Rafflesia, one of the world’s largest flowers. The Irish passport, redesigned in 2013, is a lovely tribute to the music, architecture, and natural beauty of the Emerald Isle. The illustrations inside depict landmarks like the Cliffs of Moher and Dublin’s iconic River Liffey, woven through with Celtic designs. The Scandinavians seem to know something the rest of us don’t when it comes to stylish passport design. Sweden’s passport, redesigned in 2012, features unusual birds-eye-view illustrations of famous Swedish landmarks and neighborhoods. And yet again, the whimsical drawings take on a whole new life when you slip them under UV light. The UK redesigns its passport every five years for security reasons. The most recent design, unveiled in November 2015, celebrates the past 500 years of creativity in Britain. The inside pages feature illustrations of British innovators, including the modern artist Anish Kapoor and the first computer programmer, Ada Lovelace. Also, a watermark of William Shakespeare graces every page. America’s passport is full of colorful illustrations of classic American landscapes, paired with inspirational quotes from U.S. leaders. 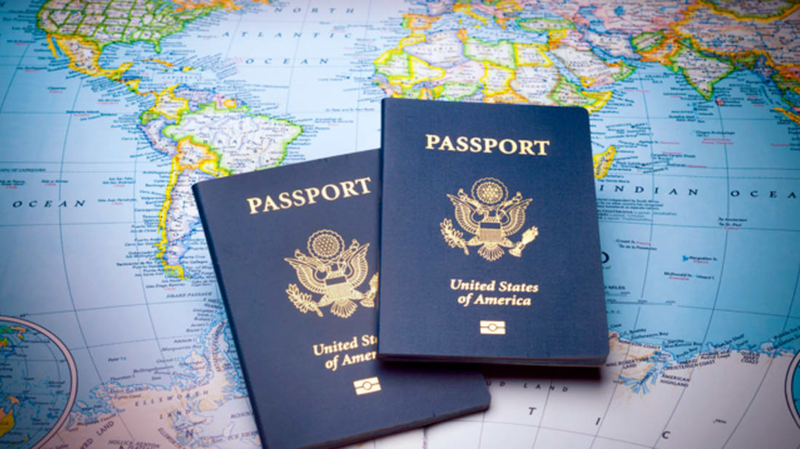 But the current look may be on its way out; the U.S. passport is getting a makeover, and will debut later this year, or near the start of 2018. 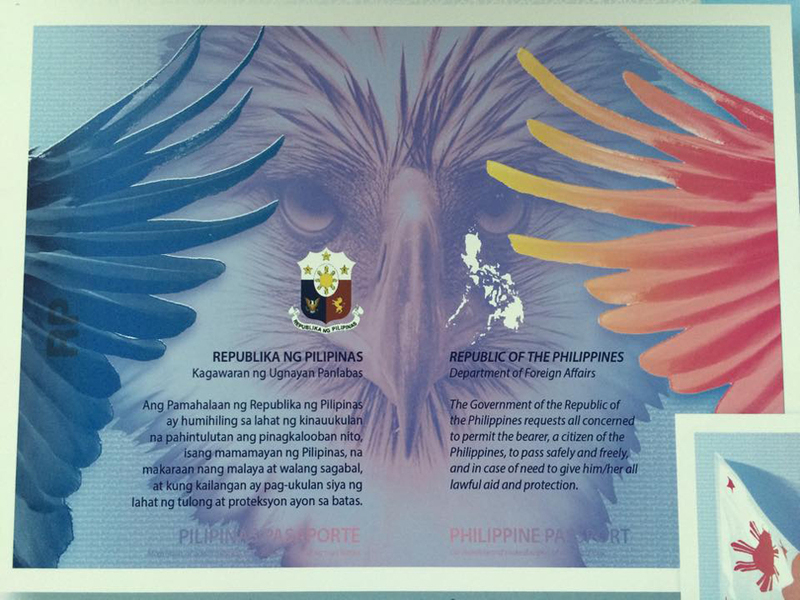 The new Philippine passport, which was released in 2016, features colorful illustrations of the country's tourist destinations, natural landmarks, and animals. The most dramatic rendering shows the wings of endangered cockatoos framing the face of the national bird, the Philippine eagle. Each page of Mexico’s colorful passport features a different coat of arms to represent Mexico’s 31 states and Federal District. Switzerland’s passport (issued in 2010) definitely makes a statement. Instead of the standard dark cover stamped with a country crest, the Swiss went bold, minimal, and modern, with an unusual off-center alignment for the text. The geometric patterns on the inner pages are just as striking.